To shoot a well-done, shake-free hyperlapse is no small task. Majestic is a master at them, making every shoot look buttery smooth and so easy you think you could do it. This edit of downtown Pittsburgh is no exception. The epic aerial video includes shots of US Steel Tower, Fifth Avenue Place, Grant Building, One PPG Place, Heinz Stadium and more. 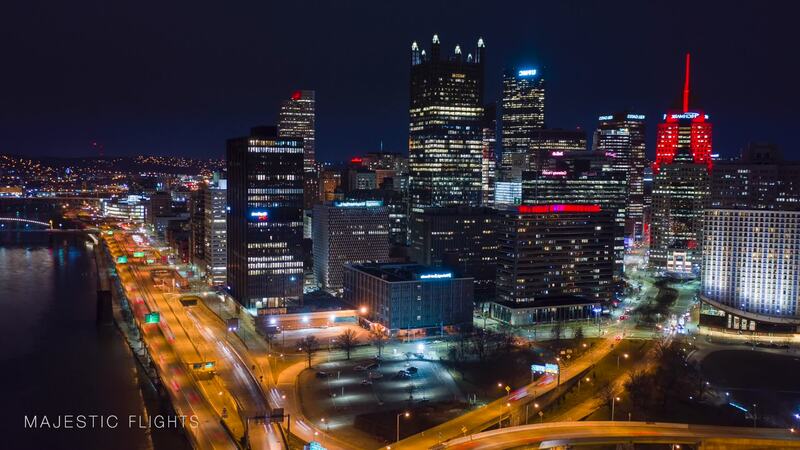 Description: Pittsburgh night hyperlapse cinematography in 4K. Pittsburgh’s people, skyline and architecture are amazing and lovely! Contact: MajesticFlights@yahoo.com © Copyright 2019 and all rights reserved by Majestic Flights.